Did I forget to close the garage door? Will my kids be safe home alone after school? These are common questions for any new homeowner. Feeling comfortable and secure in your home is very important to us. That’s why we’re sharing some tips for equipping your home with some smart home security and comfort features. Equipping your home with the latest technology is the easiest way to turn your house into a smart home. Energy efficiency, comfort, and convenience are all reasons why you might want to upgrade your home with the latest technology. 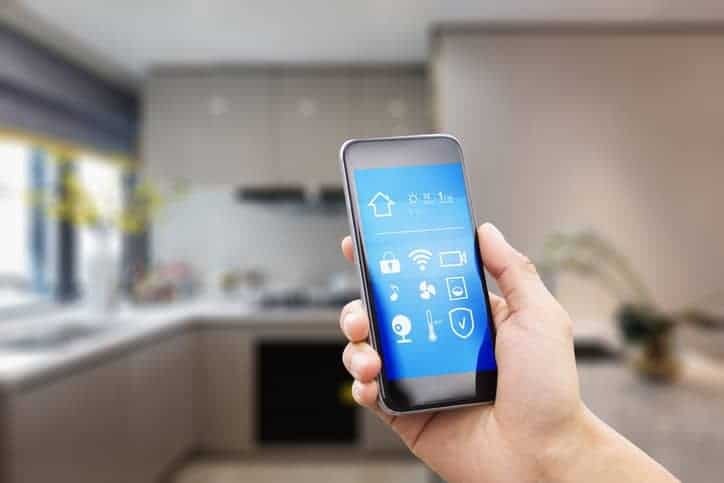 The term “smart” is used to describe technology that connects to the wifi in your home and allows you to control its features from your smartphone. Smart home security provides convenience and peace of mind. If you don’t want to install a complete system, you can choose to install one product, like a video doorbell or smart door lock. Video Doorbell – A video doorbell like ring is easy to install and allows you to see who is at your door from your smartphone. You’ll also be able to talk to and hear whoever is at your door. Keyless Door Locks – An electronic door lock is a great option for a side or front door. Instead of using a key to unlock the door, you’ll enter a code. In addition to security, smart home technology can improve the comfort of your home. Now you don’t even have to leave the couch to change the temperature on your thermostat. Smart thermostats are one of the most popular smart home upgrades in the comfort category. Many people are attracted to smart thermostats for their energy efficiency claims and sleek designs. There are so many on the market to choose from, but this article breaks down the features of each one. If you’re considering turning your house into a smart home, remember to do your research before purchasing and installing some of these smart home features. You might have to pay a monthly fee or there may be a complete system that comes with one of the products you’re interested in. At Porchlight Homes, we bring your dream home to life with thoughtful craftsmanship and a genuine touch. For more information about our communities, reach out to us online or stop by for a tour.